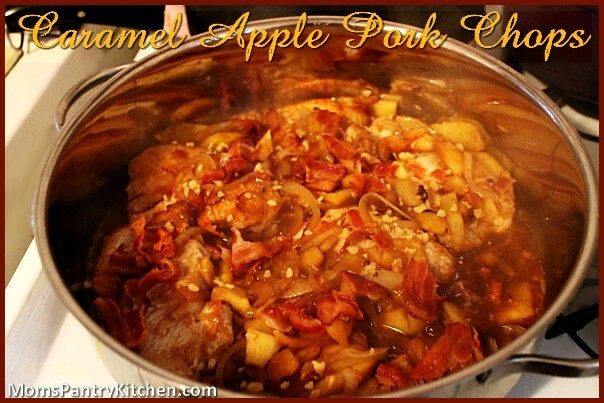 Brown pork chops in 2 tbsp bacon drippings until brown (2-3 minutes per side). Remove pork chops from pan. In the same pan, saute onion slices and apple slices, until the apples are tender. Add in brown sugar, butter, cinnamon and salt and pepper to taste. Return pork chops to the pan and cover, cooking on a med-low for 5 minutes. Top pork chops with bacon and walnuts and serve hot.